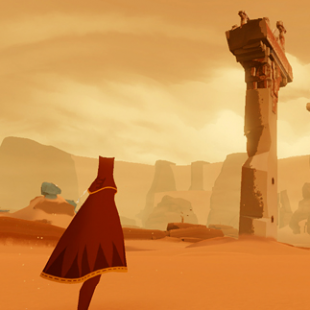 Journey developer sees potential in the free-to-play market, but not so much in Kickstarter. Jenova Chen, co-founder of thatgamecompany and creator of games like Flower and Journey, is often cited as a pioneer of the modern industry. Accolades in no way equal dollars however, and going forward Chen hopes that his games can retain the emotional core that earned him his fan base while also drawing in the profit-centric side of the gaming industry. One potential route that he's exploring is free-to-play gaming. "This is definitely where the money is flowing," said Chen speaking to GamesIndustry International. "I think free-to-play is both exciting and also really dangerous. So we're still testing out what will go there. How are you going to make people feel emotion when they're constantly on guard that you're manipulating them to make money?" While his interest in free-to-play may be muddied by some of the more contentious elements of existing games, Chen was clear on his desire to avoid other forms of funding like Kickstarter. "I think most of the very successful Kickstarters are by veteran celebrity developers who made these games people in their 30's and the 40's used to love." Said Chen. "The people who played our games are teenagers and college students. How much money are they going to have to donate?" While some might disagree that Kickstarter is a den of gaming nostalgia, there are many who share Chen's concerns about free-to-play games. Though recent years have seen a rapid expansion of the free-to-play market, profitable mainstays like in-game advertising and micro-transactions still irk many consumers. These practices have been further soured for some thanks to publisher's attempts to push pay-to-play mechanics into retail games. Chen is likely right that some gamers would be unhappy with a game that tugged on the heart strings and then asked for more money to proceed.